I’m lucky enough to live in a town with an awesome vintage fair. Vintage Village takes place in Stockport’s Victorian market hall on the second Sunday of every month and it really is one of my favourite fairs. The quality is always so high, and there is always a bargain to be had. I was super lucky last Sunday to score, when I had just gone for a browse of course, two beautiful sun dresses. 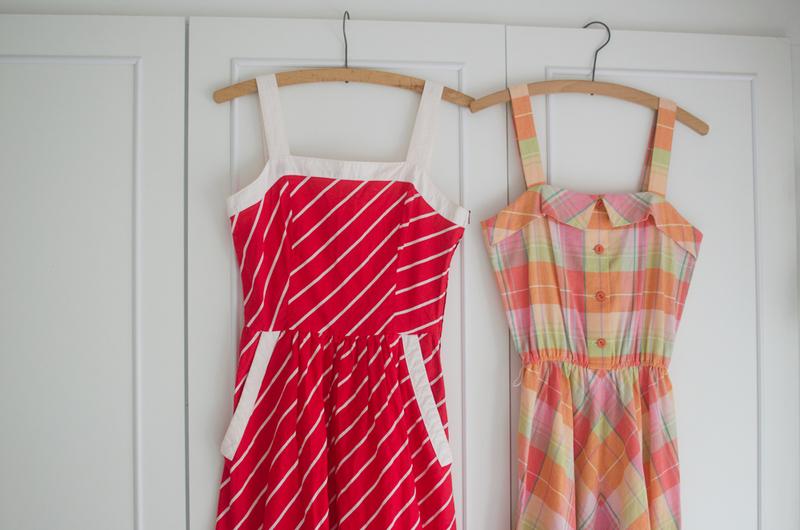 The red dress on the left is a 100% cotton number from Germany (I can’t remember whose stall it was from) and the one on the right is a 1980s Next dress from Lace and Liquor Vintage. After a little bit of hemming (as always, everything I ever buy is too long for me) these two beauties will be coming on holiday to Amsterdam with me. Now, let’s just keep our fingers crossed for a bit of sun for me to wear them in! This entry was posted in Uncategorized on July 17, 2014 by Lucy Meakin. 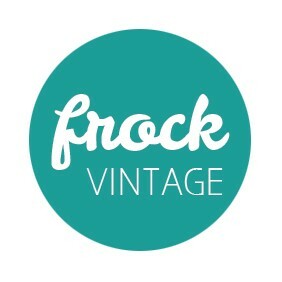 Frock is a UK vintage fashion and lifestyle blog, set up by blogger Lucy to share fabulous vintage finds, DIY fashion tutorials, vintage styling tips and vintage buying guides.